A good Art Nouveau Edwardian period Liberty & Co walnut kidney shaped bedside cabinet with stunning heart shaped inlay of mother of pearl and other fruitwoods. 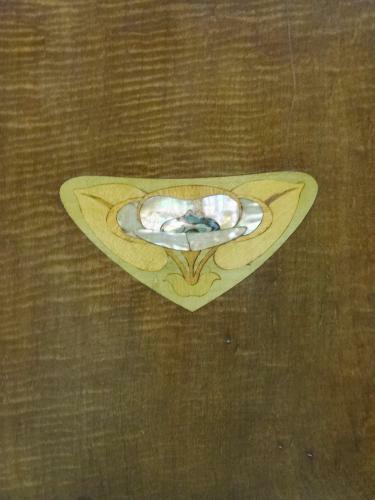 The heart inlay very much as used by Leonard Wyburd in some of his other designs for Liberty. c1905.